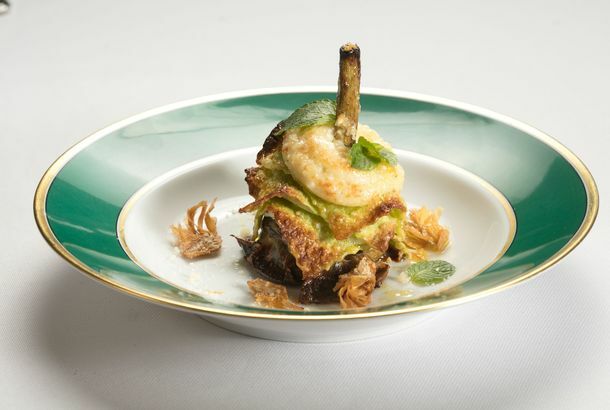 At Leonti, Silver-Dome Dining Meets Bean SoupThe ambitious Upper West Side restaurant has a short, focused menu, filled with northerly Italian specialties. A Not-So-Traditional Update for an Upper West Side TownhouseThis triplex got an airy, modern renovation that still preserves touches of history. The Absolute Best Bar in the Upper West SideSolid drinks, no pretension. 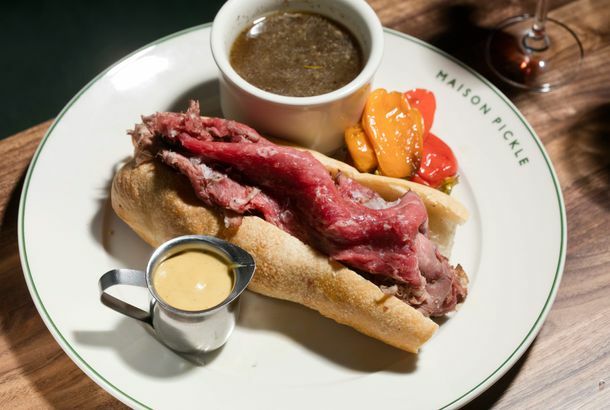 Maison Pickle Unleashes Five French Dips on the Upper West SideThis Shangri-la of elevated comfort food opens Saturday. Levain Bakery, and Its Tremendous Cookies, Are Moving to a Bigger SpaceTwo blocks away, on Amsterdam Avenue. 7 Things We Learned From the FEC Data MapLots of Bernie supporters, but way less money going to him from New York than you might think. Rod Covlin Tried to Marry Off His Young DaughterThe arranged marriage was part of a bizarre attempt to confiscate a $1 million trust fund. Sal & Carmine’s Pizza Reopens TodayIt’s been closed since August 23. Moore Food & Drink, Now Open on the Upper West Side, Sticks to the ClassicsHarold Moore’s menu includes clam chowder, oysters Rockefeller, and deviled eggs. Woman Sexually Assaulted Inside Her Upper West Side ApartmentHer assailant left his hat behind. An Off-Duty Cop Got Drunk and Shot Some People on the Upper West SideHere we go again. UWS Building Won’t Let Dogs Walk in the Lobby Their owners are required to carry them. Picholine Closes for Repairs and VacationThe 22-year-old restaurant is already taking reservations for September. Fancy Upper West Side Building Will Have a Separate Door for Poor People NYC’s Department of Housing just signed off on the plan. Parm’s Upper West Side Location Is Moving AlongA flurry of activity at the address is certainly good news. Upper West Side Hero Thwarts Serial Package ThiefA victory for residents and postal workers alike. Upper East Side Vegan Restaurant Café Blossom Closes Next MondayThe proprietors are considering the possibility of relocating in the neighborhood. Man Jumps Off Upper West Side High-Rise With Toddler SonNeither survived. The Upper West Side Has at Least Two Mobile HomesThink of them as studio apartments with wheels. Popover Café on the Upper West Side Will Close January 5The owners haven’t indicated any plans to relocate. 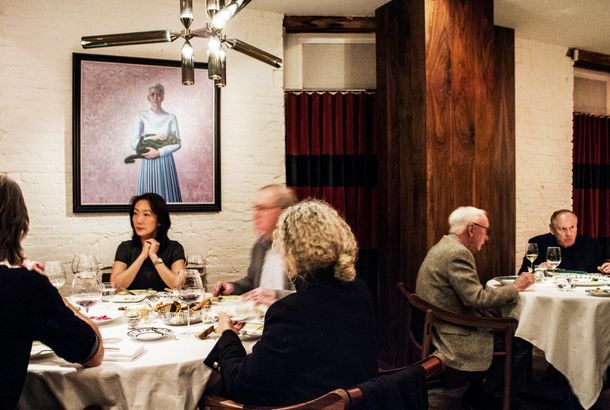 RedFarm UWS Rolls Out Dinner ServiceIt’s staying open fairly late, too. What to Eat at RedFarm’s Upper West Side OutpostThere are a number of new dishes exclusive to this location. Emotionally Disturbed Man Stabs 5 With Scissors on Upper West SideA 2-year-old was slashed. Alamo Drafthouse Cinema Cancels Plans to Open UptownIt’s Hurricane Sandy’s fault. Video: The Last Night at Big Nick’sThe Upper West Side institution closed its doors for good last night — and Grub was there to capture the scene. Adorable 4-Year-Old Killed in Upper West Side Car ChaseThe worst. Upper West Side Parents of ‘Killer Nanny’ Victims Are Having a BabyThey announced the good news on Facebook. Forest Whitaker Wrongly Accused of Shoplifting on the Upper West Side They frisked him, too. Nanny Indicted for Fatally Stabbing ChildrenShe’s facing life with no parole. Nanny Charged With Killing Children Says She Resented Her EmployersBut she hasn’t confessed. Nanny Who Stabbed Children Had Been ‘Devastated’ by Financial ProblemsMany said Yoselyn Ortega had seemed stressed in recent weeks, though her behavior at work seemed normal. NYC Moms React Online to Alleged Upper West Side Killer NannyParenting message boards are ablaze today. Nanny Accused of Fatally Stabbing Two ChildrenThe mother found her 2-year-old and 6-year-old in their bathtub. Woman Sexually Assaulted by Pizza Delivery BoyThe 16-year-old broke into her apartment while she was sleeping. What to Eat at Numero 28 Cucina, Expanding Beyond Pizza on the UWSThe restaurant opens tonight.